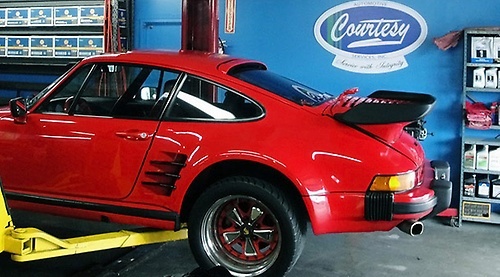 We are excited that you have found Courtesy Automotive Services on the internet. But until you call for your first appointment, you will never fully understand how Courtesy can make your life more secure. So explore our website. You will read comments from other customers, meet our staff, read our certifications and you might develop some understanding of how hard we have worked over the last three years to build this business. Courtesy was created because it was felt that most women would not enter an Automotive Shop and most men would never expect to leave an Automotive Shop and spend less than $100.00. Welcome to Courtesy where things are different. We believe that each customer and their vehicle are entitled to the right service, in the right amount of time, for the right price and guaranteed work. We at Courtesy are striving to create a gender friendly, honest company which believes that every customer is entitled to understand what is wrong with their vehicle, what it will require to fix it and to be charged the right price based on standard gross margins, competitive parts pricing and not by ''what the market will bear'', what you drive or your appearance. Whether you are passing through San Clemente or you live in San Clemente, you will pay the same price. So call Courtesy and make your first appointment. But until you have your service, you will not know how hard we are working to make this business better.